Whether you have a very small or a very large garden, the sound of running water always gives you a tranquil and relaxing feeling. If you take a look around any garden centre you’ll see that there are hundreds of water features on the market. 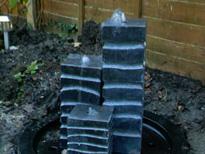 There are water features to suit all levels of budget. If you can’t spend a great deal perhaps a simple fountain set on the patio would suffice. For those really wanting to push the boat out (not literally! 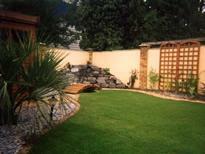 ), perhaps a mirrored waterfall set as a main feature in the garden is an option to consider. Whatever your budget, Stone Valley will always recommend a water feature of some kind when discussing the landscape layout of your garden. Another popular choice of feature is the rockery, as colour can be planted around the rocks to bring life to any part of the garden. 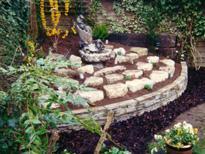 Combining a rockery and a water feature, such as a pond at the bottom of the rockery, is another extremely effective way to enhance your garden. 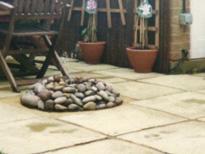 Our photo gallery features just some of the many different rockeries and water features that we have provided for our customers.